One of the highlights for me at Perform 2018 was the opportunity to listen to Rob Mee, CEO of Pivotal, who has been instrumental in helping the world’s largest companies adapt to change and transform into software companies. Rob Mee is credited as a pioneer of the agile software development movement, which focused on rapid, continuous feedback to build software. In the early 2000s, the “agile revolution” took root when Rob and Pivotal Labs starting working with Silicon Valley’s most valuable Internet companies such as Google, eBay, Twitter, etc. Then, in 2013, Rob was a founding member at Pivotal Software, Inc., to focus on bringing Pivotal’s combination of platform, tools, and methodology to Fortune 500 companies. 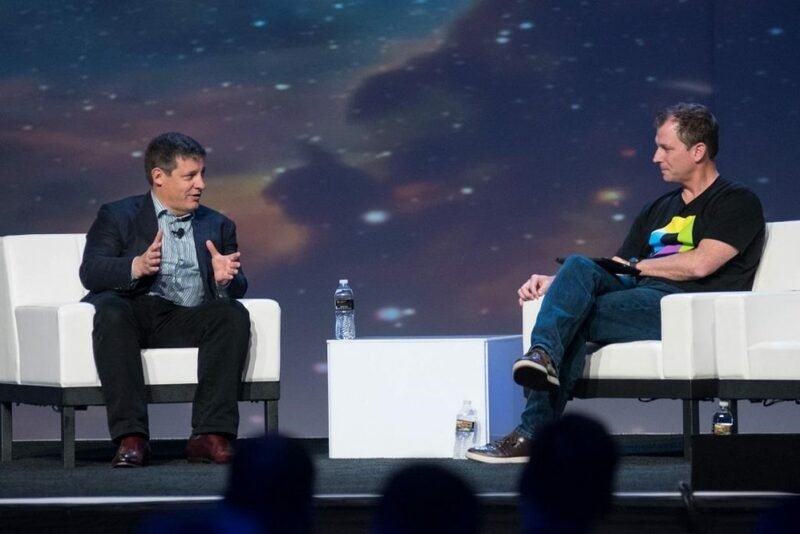 Our Chief Customer Officer Andrew Hittle sat down with Rob and picked his brain on what Pivotal has been doing to push the envelope on agile software development and digital performance monitoring (DPM), as well as the critical role that Dynatrace plays as not only an industry leader but also an important Pivotal partner. As Rob told the crowd, Pivotal Labs primarily worked with startups, at a time when innovation was centered around ventured-backed startups based in Silicon Valley. Then, in 2013, Pivotal developed it’s flagship cloud-native platform, Pivotal Cloud Foundry, it shifted to predominately working with enterprises, though, they noticed a marked difference in how enterprises view the cloud. With huge IT estates, spanning thousands of apps running on-premise, enterprises really just wanted one cloud architecture. Startups, on the other hand, were nimbler; that gave them a first-move advantage that enterprises didn’t have. But, by bringing some of these startup values to the enterprise world, Pivotal has helped facilitate enterprises to move in a nimbler direction, too. That’s a huge development because, while startups may be naturally more flexible than enterprises, enterprises are sitting on a huge library of domain knowledge ready and waiting to be unlocked. By bringing both the methods and cultural mindset of agility to the enterprise world, those companies are now in a better position to leverage that domain knowledge in a way that puts them on an even playing field with their disruptive counterparts. Rob put it best: digital performance monitoring is all about feedback. 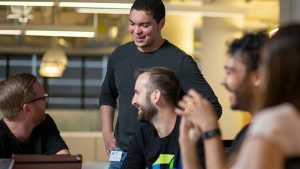 Continuous feedback has been vital in fueling this software culture shift among enterprises, a process that has been particularly helped along by Dynatrace’s ease of use. 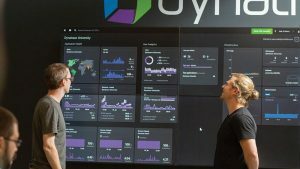 Dynatrace has leaned into the Pivotal ecosystem. 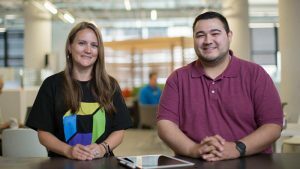 Rob specifically called out how Dynatrace has integrated their cadence of new releases so tightly with Pivotal, that they’re able to prompt users to download and install updates as soon as Dynatrace makes them available. And, as Rob told Andrew, this kind of customer-focused integration is something Pivotal wants to do even more of, channeling feedback received directly from customers back into their development divisions, ultimately producing releases that are even more tuned to users’ needs. Andrew and Rob’s ‘fireside chat’ winded down with a look ahead to the near future. 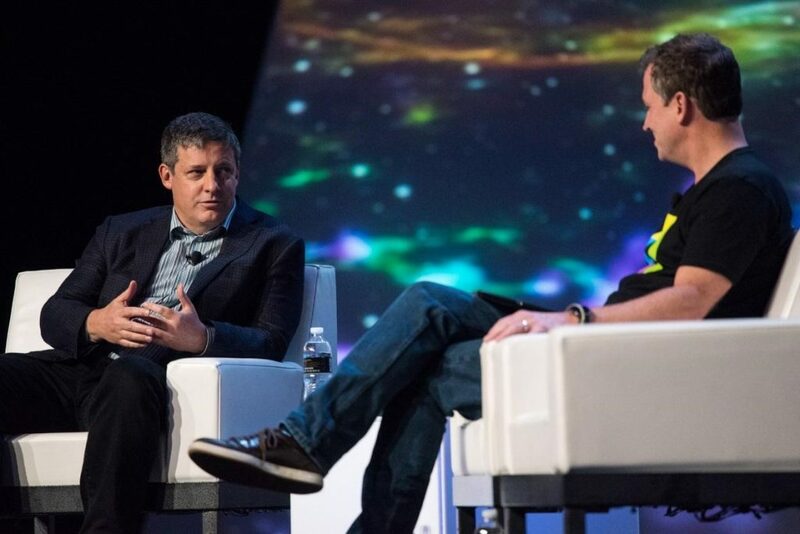 While Rob praised Dynatrace’s automated, full-stack monitoring as crucial to what their customers need, he also mentioned he wants to see Pivotal and Dynatrace take their customer feedback to the next level to create the next generation of DPM solutions. Rob’s last word advice for the enterprises at Perform: embrace a culture of experimentation. Whether you’re a startup or an enterprise, creating an environment for continuous change opens tons of new doors you never even knew were there. That kind of rapid evolution can seem intimidating from the outside, but once you’re in that flow of listening to customers and building new solutions off of their feedback, you can unlock a whole new world of mutually beneficial value. Stay tuned for more stories from the Perform 2018 mainstage! In the meantime, you can check out the video and presentation highlights from Perform 2018, and get a jump on our next show, Perform Europe in Barcelona, by registering today.